Thank you for registering your interest in MyLegalAdviser. Lawyers, we all need them. But too many clients are scared of lawyers and don't know where to start. 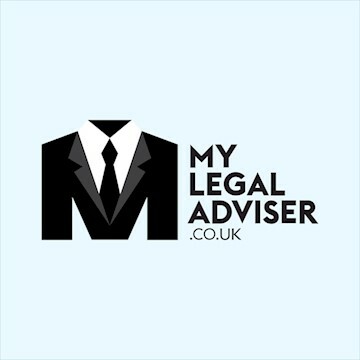 MyLegalAdviser is changing that. We make it easy for clients to connect with great, local, lawyers at a fair price. Our unique marketplace model helps clients to get an average of 4 - 5 quotes from specialists within minutes (5 quotes in 8 minutes is our record so far!). We've already helped 1,200 clients with jobs worth over £2.5 million get quotes from the 125+ law firms on our service. Now we're looking for investment to grow our network, bring in more jobs and take UK market share. After that? We want to help the world find the right lawyer for them too. Clients post a job on our platform and we instantly match them with local lawyers who specialise in that area. Clients can immediately invite quotes from lawyers they like the look of. Lawyers review the job and submit a quote if they're interested. Clients compare quotes, profiles and ratings and decide which lawyers they want to discuss their job in more detail with. Once they've made their decision, they click a button and we instantly exchange their details. For users, it's a free quick and easy way to find a lawyer who can help. For lawyers, it's the quickest and most cost-effective way to find clients looking for their help. Have you ever tried to find a lawyer to help deal with a legal problem? If so, you'll know the pain 9.5 million consumers and small businesses go through each year. Do I need a lawyer? Who should I talk to? How much will it cost? Will the lawyer I hire be any good? In fact the problem is so bad that in 2017 the Competition & Markets Authority gave legal regulators three years to sort things out. So what did the regulator do? Created some 'e-badges' and forced firms to publish meaningless fee ranges for a few types of legal case. Not much help. MyLegalAdviser is the perfect solution to client problems and we're perfectly placed to solve clients' pain points. 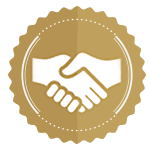 We charge lawyers a small fee (between £15 and £150) when they and a client say they want to work together. Our fee is based on the value of the job for the lawyer and what it costs for us to acquire it. Our model is completely unique in the legal market and is the reason our lawyers are generating over 15X return on investment. But it's not our only revenue stream. Once we scale our service, we'll start charging lawyers a subscription fee. We'll also introduce a user subscription fee for simple document creation and management as well as legal updates. Finally, we'll be marketing to our users for related products and services (e.g. mortgages & insurance).